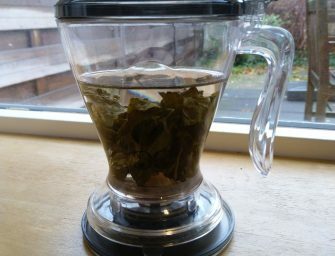 If you’re a bit bored of your regular rice and want to add some flavor to it, tea is an excellent choice. More specifically a fragrant tea such as black tea is recommended. 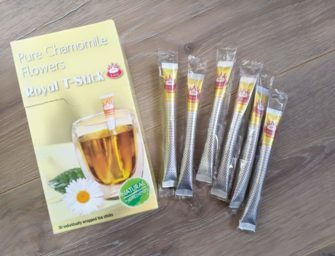 Floral tea is also a good option because the aroma will enhance the taste. For this guide we used Ruby #18 from Taiwan. 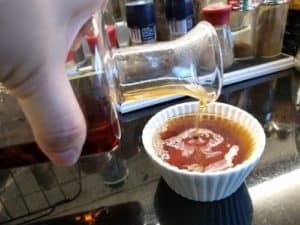 It has a strong and sweet fruity honey aroma with a hint of cinnamon thrown in, so the kids are very happy with it too. The above gives you the ratio for the ingredients. 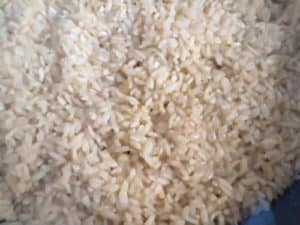 You can adjust the volumes based on how much rice you want to cook. Just make sure you use the same cup for the rice and liquid (for optimal ratio, follow the instructions on your rice package) and it doesn’t really matter what that cup actually is. 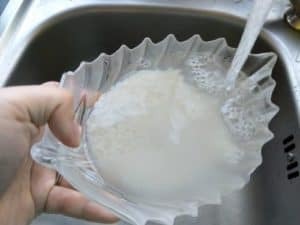 2) Rinse the rice with running water till the liquid is more clear than opaque. Drain the water and mix in the black tea. 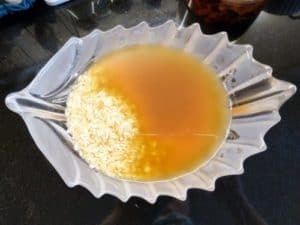 Place the mixture into your rice cooker and add the cooking oil and salt. Stir to make the rice and tea cover the pan evenly. 3) Turn the stove to high heat. Cook until the liquid is boiling, which takes about 2-3 minutes. 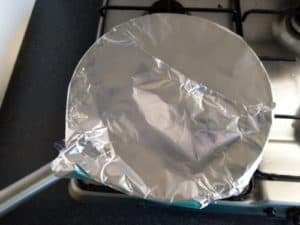 Cover the frying pan with a lid (if you don’t have a lid, you can cover it with aluminum foil). 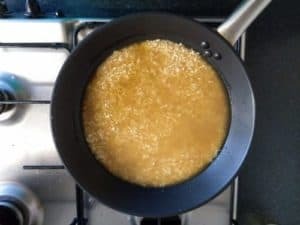 Turn the stove to low heat and allow it to cook slowly until the liquid dries out, which will take about 7-10 minutes (a glass lid is recommended, so you can see inside the pan). 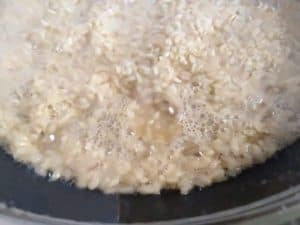 4) Once the liquid dries out, there are holes in between the rice caused by the steam. Turn the stove off and leave the lid on. Let the rice rest for another 10-15 minutes. 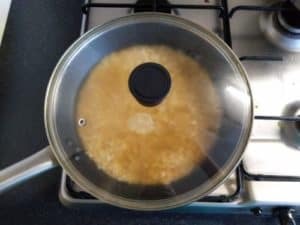 DO NOT open the lid during the cooking process as it would change the pressure and temperature which affects the result! 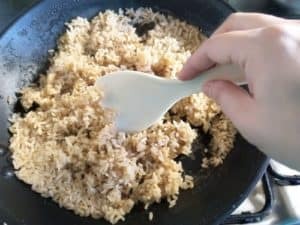 5) After resting, simply use a spatula or a wooden spoon to gently stir the rice before serving. 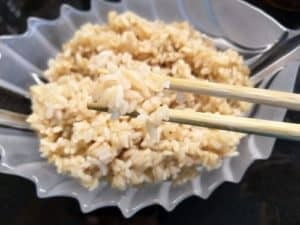 If the there is harder crunchy layer at the bottom of the rice, it's completely ok. Some people even prefer this crunchy layer, as it gives the rice some additional texture. 6) Serve the rice with any kind of food. Good examples are Chinese dishes, a slow cooked meat stew or even a curry pot. The strong aroma from the Ruby black tea enhances the palate, and you can taste the sweetness of the carbs even more. 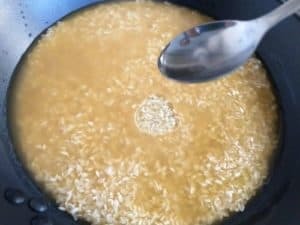 It is one rice cooking method worth of trying. 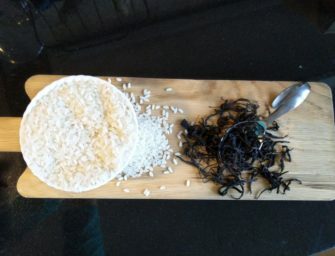 +) Additional recommendation: when cooking Basmati rice, you can put a jasmine green tea bag in the pot to cook together. It will enhance the aroma and taste which goes very well with a curry dish.